We would like to take this opportunity to welcome you back to this academic year. We look forward to a productive partnership with you to ensure our children can achieve their highest potential. Children need support from both the home and school. We know a strong partnership with you will make a great difference to your child. We will be aiming to meet with you on a regular basis where we can discuss your children's progress and needs. 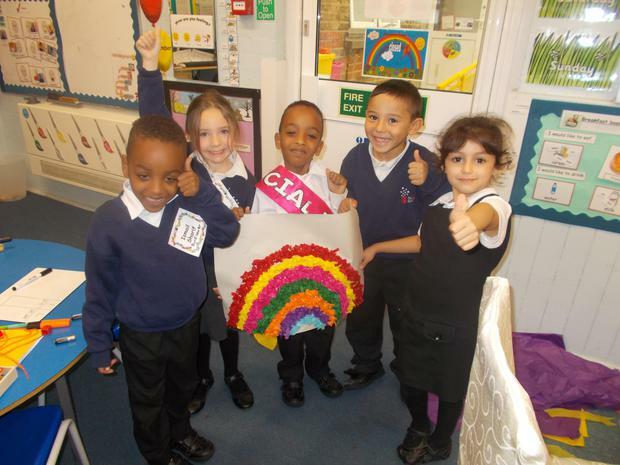 Rainbow room is a friendly, welcoming class where the children feel safe, happy and secure. Children’s learning is planned through topics. 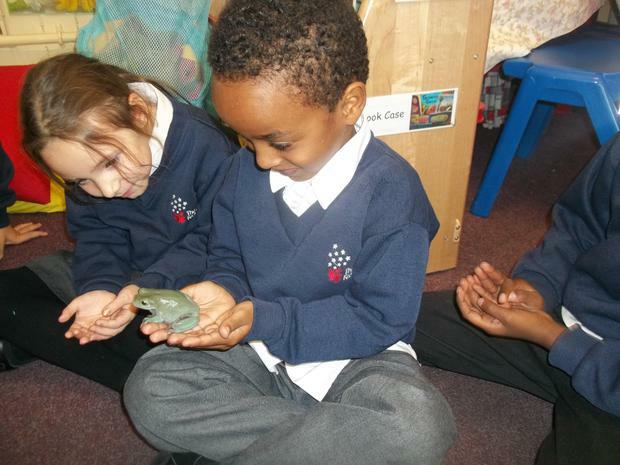 Children in year 1 are currently learning about Ourselves and children in year 2 are learning about Animals. 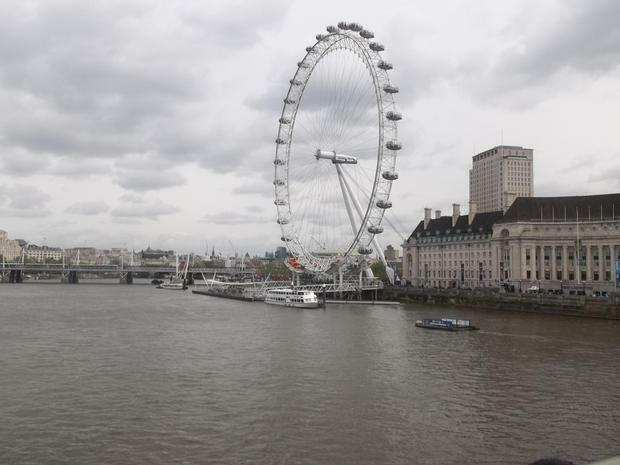 All children in Rainbow will be going to their planned trips with their class, however additional trips will take place for the children in Rainbow and we will be sure to let you know closer to the time. Please feel free to speak to the team here in Rainbow room if you have any concerns or questions, we will be happy to help. 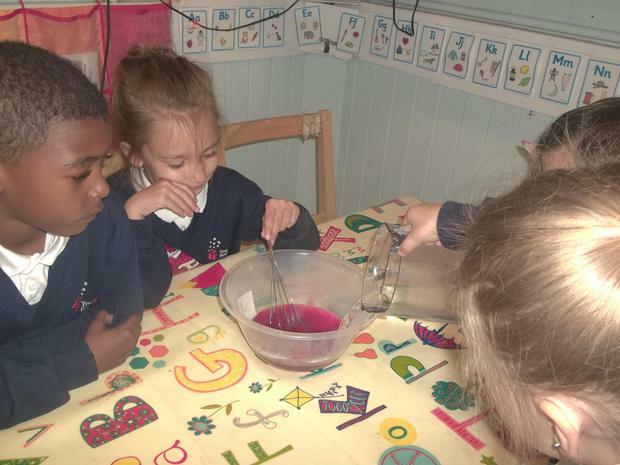 We learned about capacity/mass and we did lots of practical activities like make jelly and then eat it-yum! 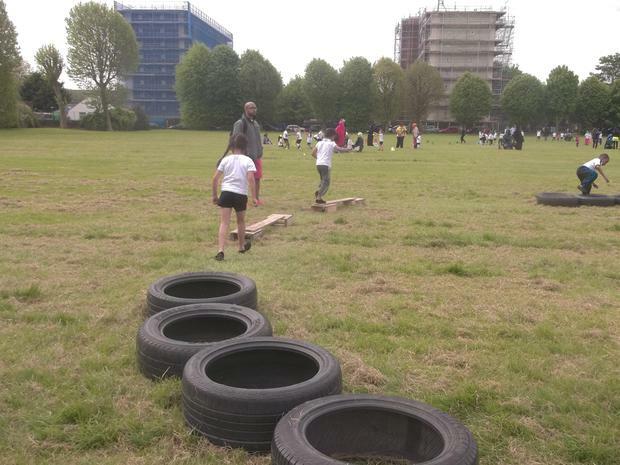 We had sports day-again, thank you for coming down and supporting our children, it means so much to them! Have a lovely and safe half term. 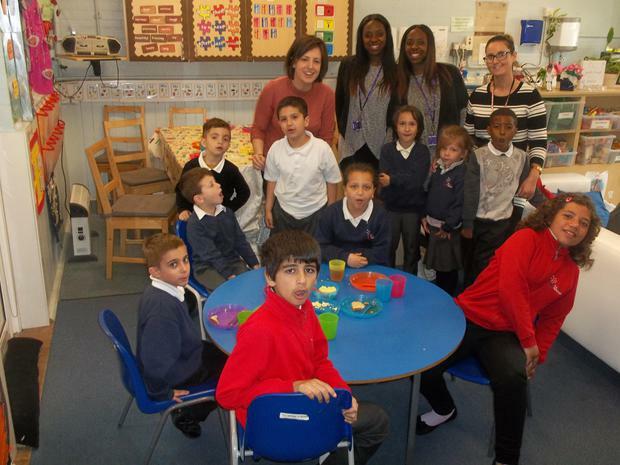 Pancake day with our lovely parents who came in for breakfast and helped us make yummy pancakes. 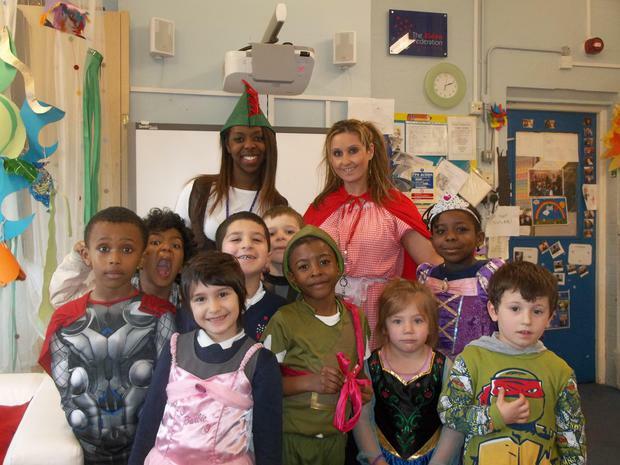 World book day- the children and staff all dressed up as their favourite characters. The children are continuing to enjoy their role play sessions. 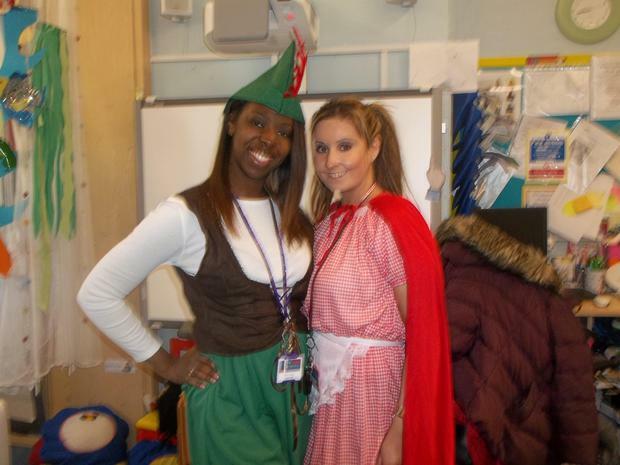 They role played The Three Little Pigs, Jack and the Beanstalk, Goldilocks and the Three Bears and Whatever Next. 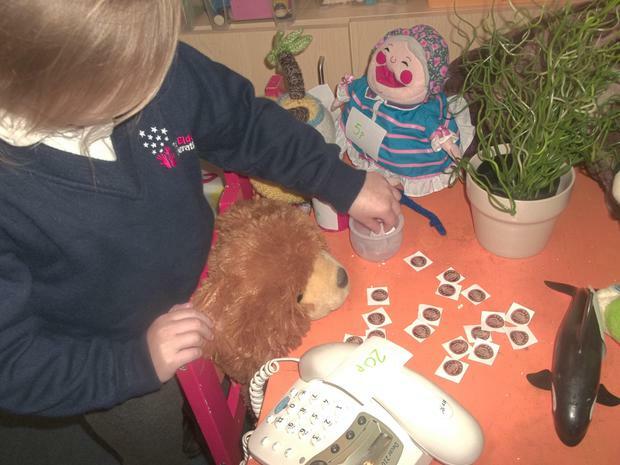 As part of Maths, "money" was a topic that we thoroughly enjoyed. 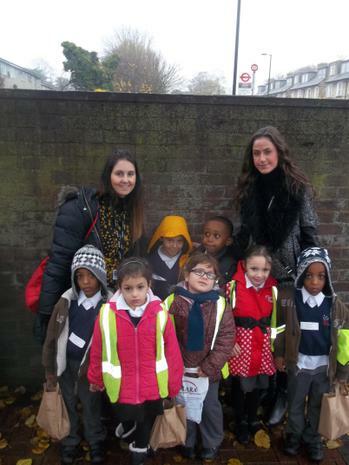 Children were using the opportunity to shop with money and decide whether they had enough of it. 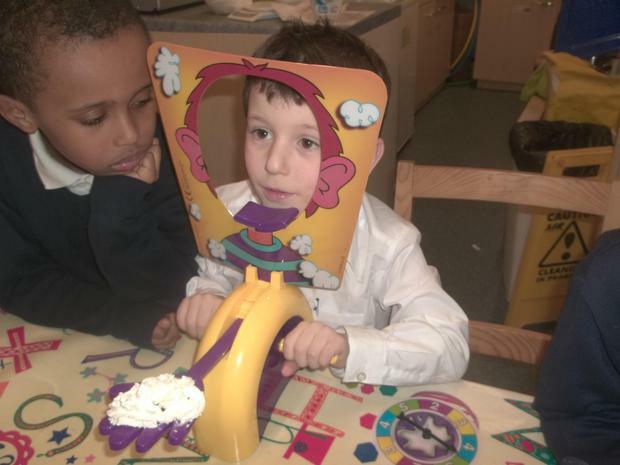 Playing games like Pie Face was a great laugh! It was a brilliant game where we predicted how many turns were needed to get "pie-faced". 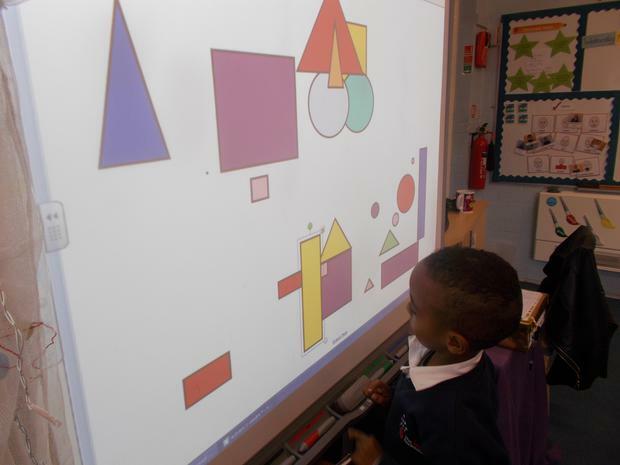 We looked at 2D shapes, the children went on a hunt around the school to identify different 2D shapes. 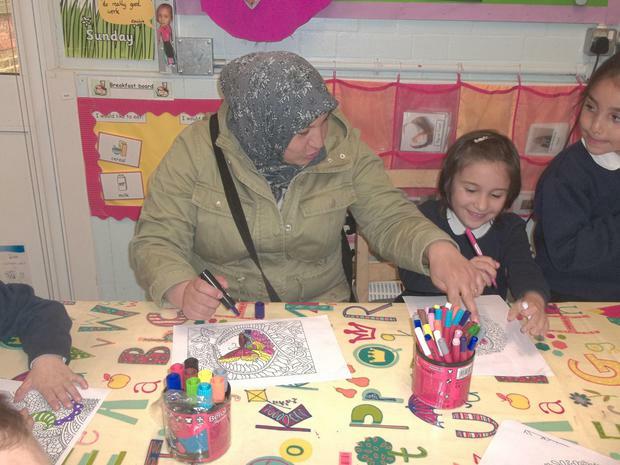 We appreciate our Mothers, so we made cards, we hope you liked them. 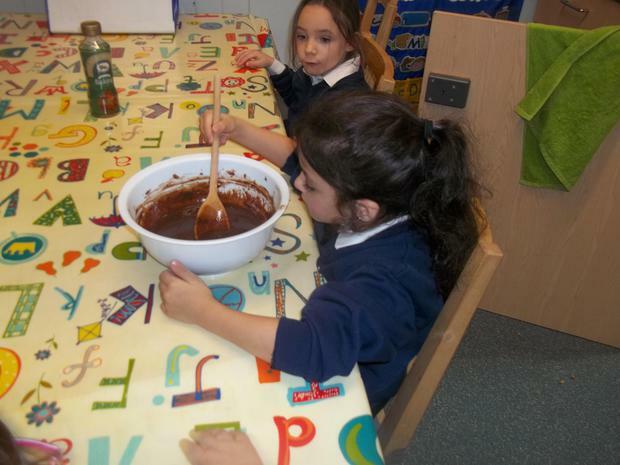 The children enjoyed making them. 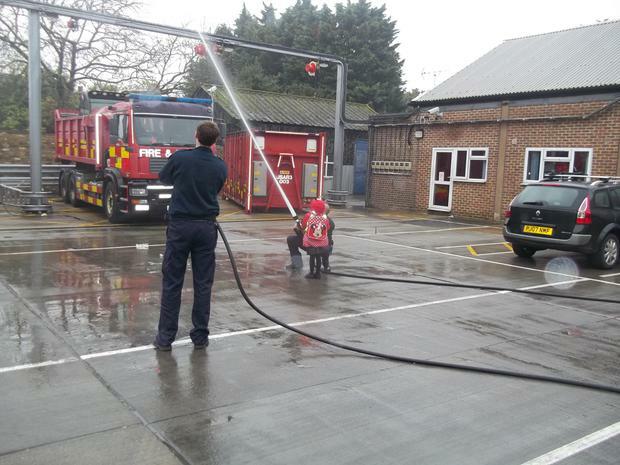 In the next few weeks we will be visiting the Fire station. Make sure you keep checking the website as we will add photos soon. Graduation-For those children "Graduating", we will hold a special good-bye session on Wednesday 23rd March so please keep the date free. We will be sending you letters and a text message to remind you. The group is called 'Nurture Group' because we work in a way that is very similar to a home environment. The Nurture Group room is a classroom within the school with a home play area, comfortable seating, kitchen/dining area, children's sized tables and chairs for individual or group working. The group has a maximum of 10 children at any one time. 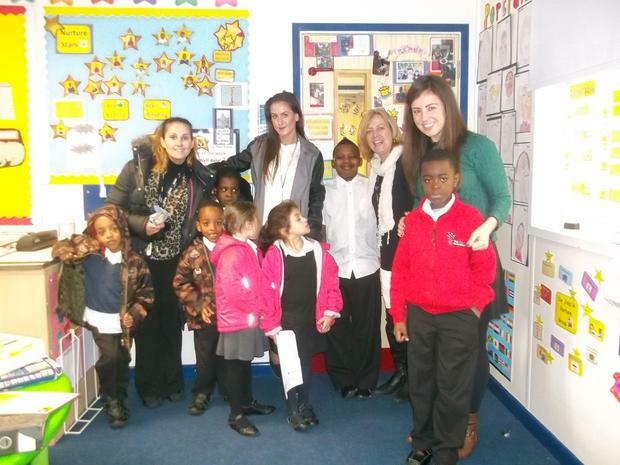 The group is staffed by a full-time teacher (Mrs Christodoulou), and a Teaching Assistant (Miss Phillips). With two consistent and constant adults the children can experience a stable environment where adults and children work together, where mistakes and accidents are discussed, where firm boundaries are put into place and where children gain confidence and learn about themselves and their world at a pace and in a manner which suits them. Why should my child attend the Nurture Group? A child may come to the Nurture Group when they are experiencing difficulties in coping in a busy classroom of 30 children. Some children have behavioural difficulties, for example they are disruptive, argumentative or aggressive whilst others may be quiet and withdrawn. The child’s behaviour is preventing him/her from learning and gaining access to the school’s curriculum. All the children have considerable difficulties making and sustaining relationships with both adults and other children. The reasons for these difficulties are many and varied e.g. separation from a loved one, birth of a sibling, trauma that a child has gone through or witnessed, effects of accident etc. Sometimes a child has learning difficulties. 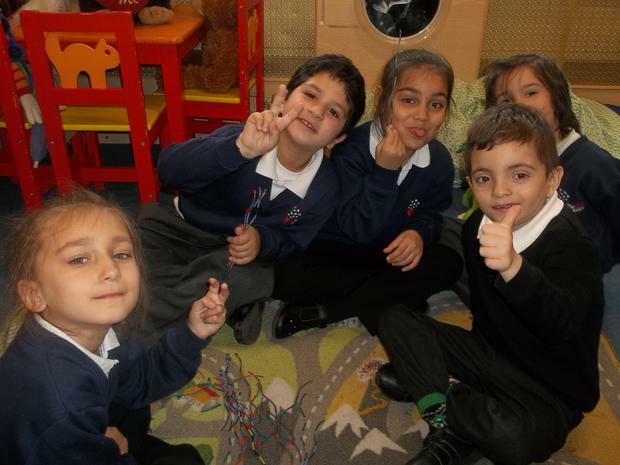 In some cases it is simply that a child finds the large group in the class too overwhelming, which makes it difficult for them to learn: whatever the reason some time spent in ‘Nurture Group’ will be of tremendous benefit to the child and his/her family. 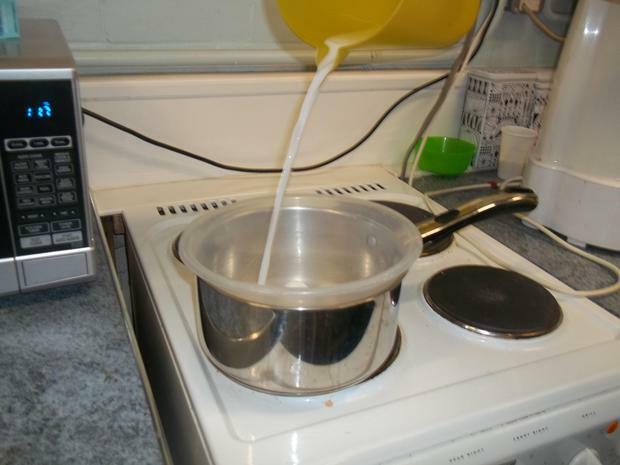 If my child has a place in Nurture Group, what will be his/her daily routine? Your child will continue their normal everyday routine. The children are registered with their own class both in the morning and in the afternoon. They retain their peg, drawer and place in class. The children are collected, from there by the Nurture Group staff after registration in the morning and/or in the afternoon. The sessions are usually devoted to developing their knowledge and understanding of the world, creativity, role play, games, construction, cooking all of which involve sharing, collaborating and turn taking. This develops the child’s communication and social skills and builds self-confidence and self-esteem. Children will return to their classes for assemblies, P.E., Music, ICT, outings and special class activities. 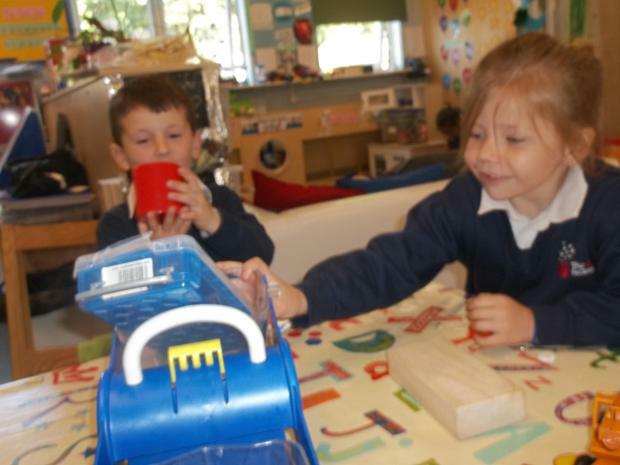 The children will spend lunchtimes and playtimes with their peers. We like to meet with parents regularly to discuss your child’s progress and any concerns that we have, it is also an opportunity for you to talk with us if you have any worries or concerns for your child. We will always try to arrange a time that is convenient for you. All children will make better progress if we are working together for their benefit. What will the Nurture Group staff do? 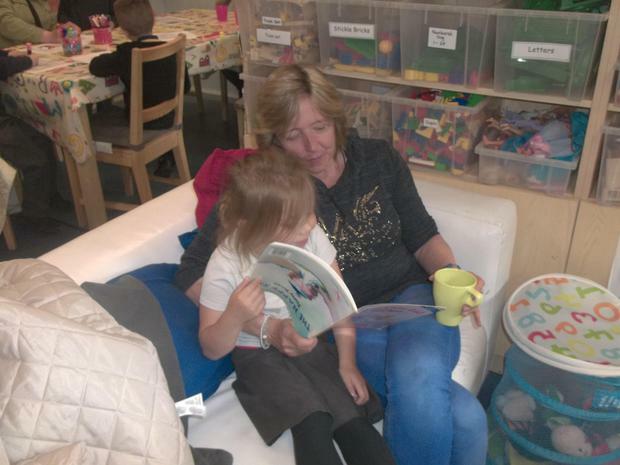 We try to make the Nurture Group accessible and familiar and to have a warm relaxed atmosphere. It is our practice to be non-judgmental. We are always available for advice and support and have the individual needs of your child at the centre of our work and planning. 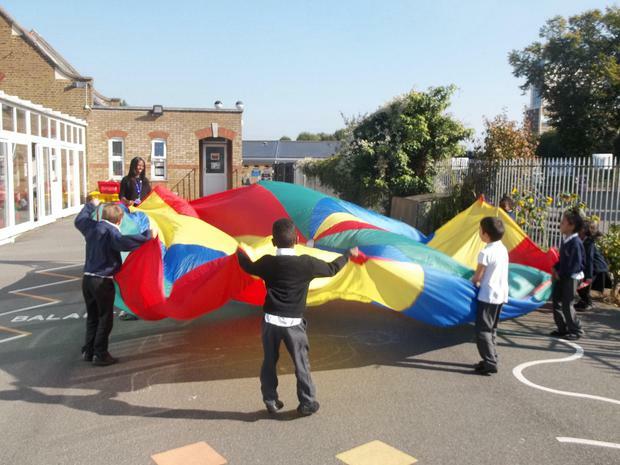 The staff are given advice, guidance and support by the school’s Educational Psychologist. 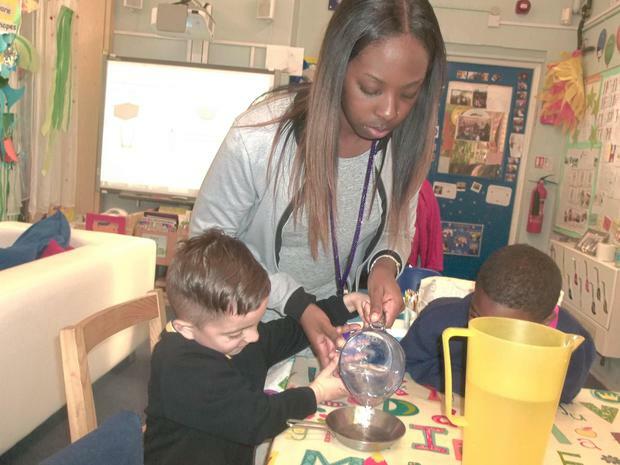 The Nurture Group at Eldon Infants is also part of the Enfield Nurture Group network, which is supported and monitored by the Local Authority. How long will my child be in the Nurture Group? Most children are in the Nurture Group for a maximum of 4 terms. Your child will know when they join us in that they will eventually return to their mainstream class. When it has been agreed that your child is ready to re-join their mainstream full time a re-integration programme is started. You will be told when this is going to happen so that you can discuss this with your child. 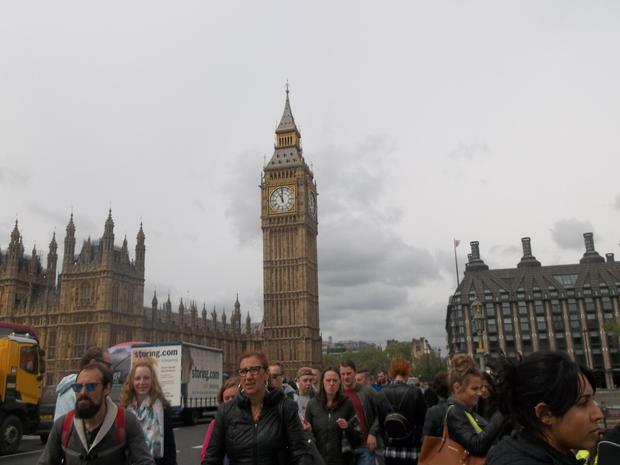 The programme is discussed fully with the class teacher, the Educational Psychologist and you. What happens when it is time for my child to return to their mainstream class? 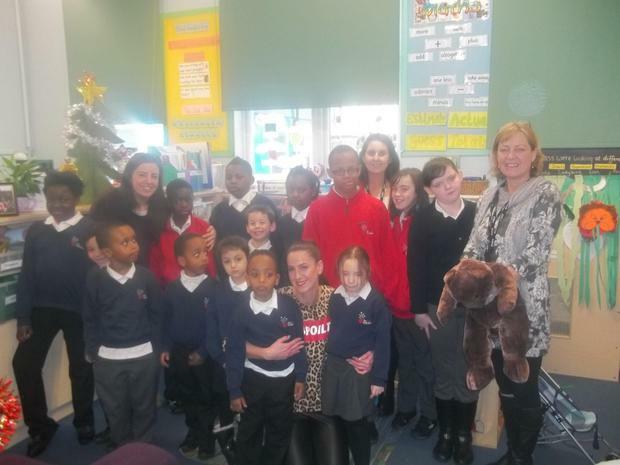 On their last day in the Nurture Group a party is held to say goodbye. Your child will invite some friends from their class to the party. Though your child will no longer attend the Nurture Group they may visit at lunchtime or at the end of the school day with you. You may of course still visit at 3.15pm as before, if you have any worries or concerns. I am very pleased with Rainbow Class. I have seen a big improvement in Michaela's behaviour and in her learning. Michaela is listening more at home and I am very grateful. 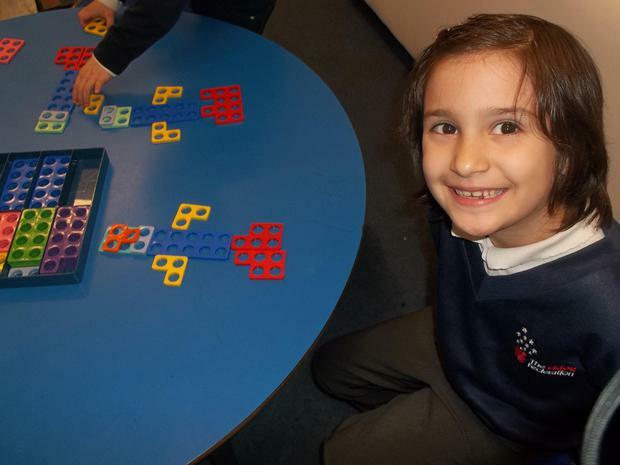 I am very happy with the progress both my children are making in Rainbow class. At home they are more social with my other children. I am very glad that my son Alex joined Rainbow class, since then his behaviour has got better and he is better with his reading too.